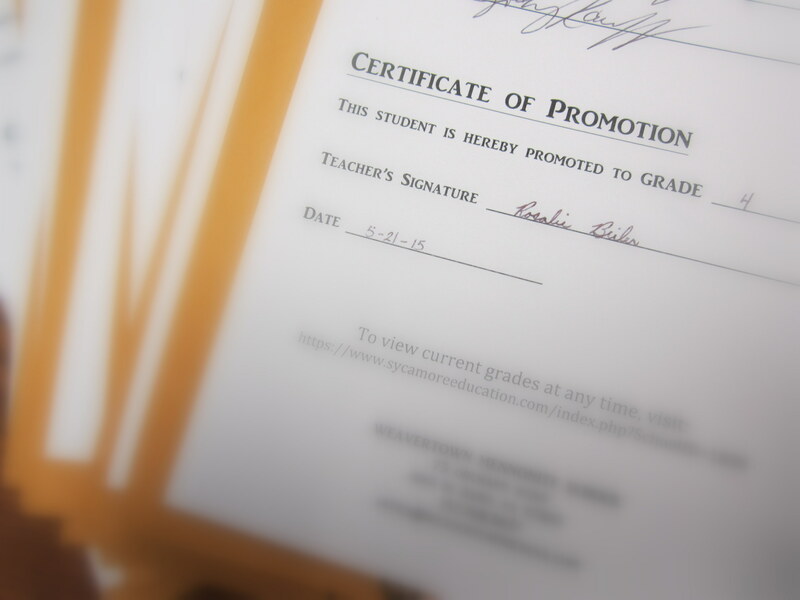 A few days ago I signed fourteen report cards and officially promoted all my students to fourth grade. That’s a simple job, you may say. Well, it did take only a few minutes. But do you have any idea how hard it is to do this? These children have been my universe for the last nine months. Women were not designed to give all their children away and get new ones every year. But maybe I should count my blessings and be glad I don’t have to put up with this much craziness all summer :). By the way, has anyone seen a stray monkey? Our collection of stuffed monkeys increased throughout the year, after our beloved pink Josephine started it all. Several people brought monkeys from home. Then someone bought two more on our field trip to Lake Tobias.The children kept up the game of hiding the monkeys in the classroom. But one poor little monkey was never found, and no one could remember where she was last hidden. So if you find a monkey anywhere, please let me know. At the end of a school year, it’s easy for a teacher to look back with some uncertainty and to wonder, Have I done my job right? 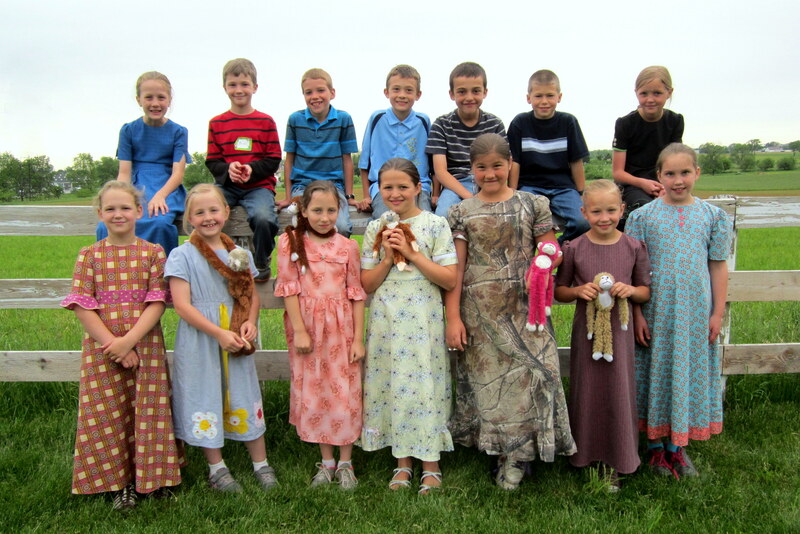 Have these children learned all that they should have learned this year? What about the mistakes I made? How have I impacted these lives? Sometimes I am terrified of the tremendous shaping power that we teachers possess. Even though these children may scarcely remember me, I know that my influence will stay with them, whether consciously or subconsciously. But God is gracious, and I rest in the confidence that these children are His, not mine. What were three of your favorite things about this school year? What is one thing your teacher often said this year? –“I don’t know if you can, but you may.” (Yes, I can be a grammar nazi like that. But the children picked it up, thought it was a great joke, and probably said it to each other more often than I said it to anyone). –“Did you forget your hearing aids?” (This was from the boy who sometimes did forget his hearing aids. On those days I had to shout to be heard). It’s been a great school year, and I am thankful that I had the privilege of being part of the lives of these fourteen amazing youngsters. And now, three cheers for summer vacation! Recently in science class we studied about hurricanes. Hurricanes come in categories–the higher the number of the category, the more destructive the hurricane. If you’ve taught school, you may have noticed that students come in categories too. Not that children have any resemblance to hurricanes (I say tongue-in-cheek, remembering the student who was aptly described by one teacher as a tornado personified). Now, let me assure you that I write what follows with an amused smile on my face. Children–and all people, for that matter–don’t fit neatly into boxes or categories. Plus, I am only talking here about behavior, not deeper matters of the heart. But I think that at least all you other teachers out there will understand what I am saying. Every classroom needs a few basic rules—for instance, “No talking without raising your hand.” Category 1 children will obey this rule simply because it is a rule. The teacher said it, so it’s the thing to do. These children never intentionally disobey rules, and some of them are horrified at the thought that somehow they may inadvertently break a rule. Category 2 children are a little less conscientious. Whether through carelessness or a tiny hint of rebellion, they push the lines to see how far they can go. The rule says, “No talking without raising your hand,” but that is only a rule as far as the teacher enforces it. So these children will test the limits. But when they realize that certain undesirable consequences follow disobedience, they are quick to obey. After experiencing these consequences one or two times, the line is engraved in their minds, and they are not likely to stray over it again. Then there’s category 3. These children are much like category 2, except that it seems a few cogs are missing in the machine that turns the wheel of logic for them. They know the rule that says, “No talking without raising your hand,” but keeping this rule seems to be above their ability level. 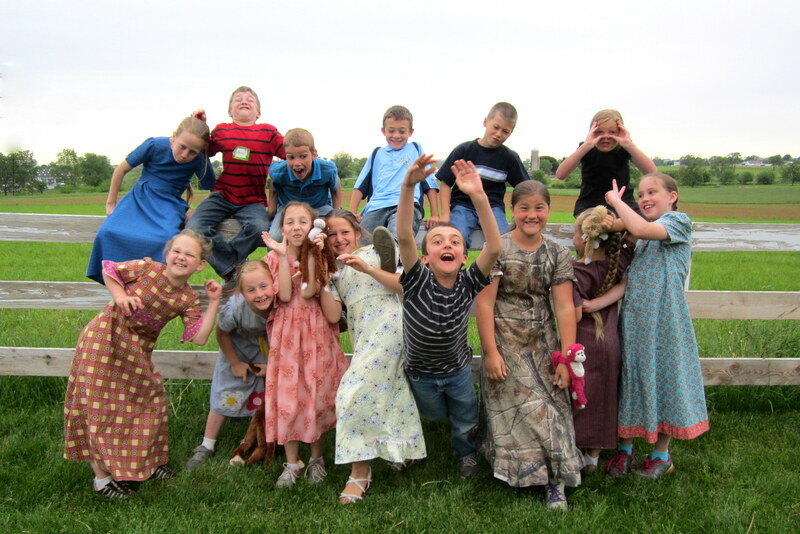 They hate missing recess, and they can’t quite seem to figure out why the teacher keeps making them stay in (although she tells them clearly every time). Finally, perhaps several months into the school year, logic slowly starts to kick in: “If I talk without raising my hand, I have to miss part of recess. I hate missing recess. Therefore (light bulb moment!) I will stop talking without raising my hand. Usually every classroom has at least one or two category 4 children. Subconsciously you name your school year after them. Your classroom feels like an entirely different place when they are absent. (I remember the time I howled with ironical laughter when I came to the end of a school year and realized that the only children in my classroom who had perfect attendance were my two category 4 students). Category 4 children will break rules over and over again. You punish them, you talk to their parents, you strategize, you pray more than you ever have in your life. Yet you struggle with these children all year. You seem to be gaining ground in one area, but then you lose it in another. The rule says, “No talking without raising your hand”? Well, they will talk without raising their hands on the first day of school, and they’ll do it on the last day of school too. Category 5 children would probably burn down the school. Fortunately I’ve never had any of those in my classroom, although I’ve had a few who were pushing it. Am I allowed to say that this year all my students are in categories 1 and 2? AND none of them have any significant learning difficulties. (Ok, I’m ducking now while all the rest of you teachers throw your chalkboard erasers at me). This may help to explain why this year teaching school feels a little like playing compared to Some Other Years. It’s not hard to feel like a great teacher with this class. Good thing it’s not my first year teaching school; this would quickly go to my head, I think. As it is, I know better. I know what it’s like to be burned out and to feel like a complete failure as a teacher. I know that a class like the one I have now doesn’t happen often. So maybe, since I don’t have any Category 4 kids to name this school year after, I could just call it the Year of Grace.